Josephine Brown. Biography of an American Bondman, by His Daughter. 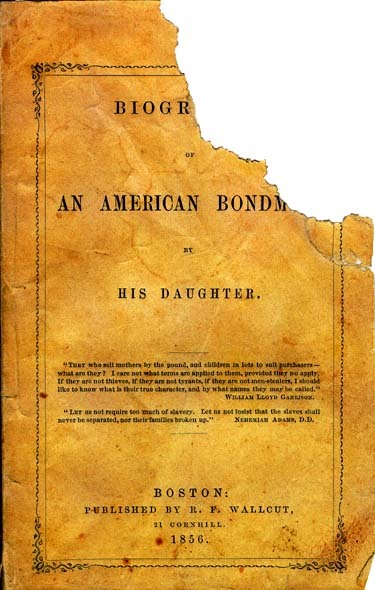 Biography of an American Bondman, by His Daughter. Boston: R. F. Wallcut, 1856, c1855.